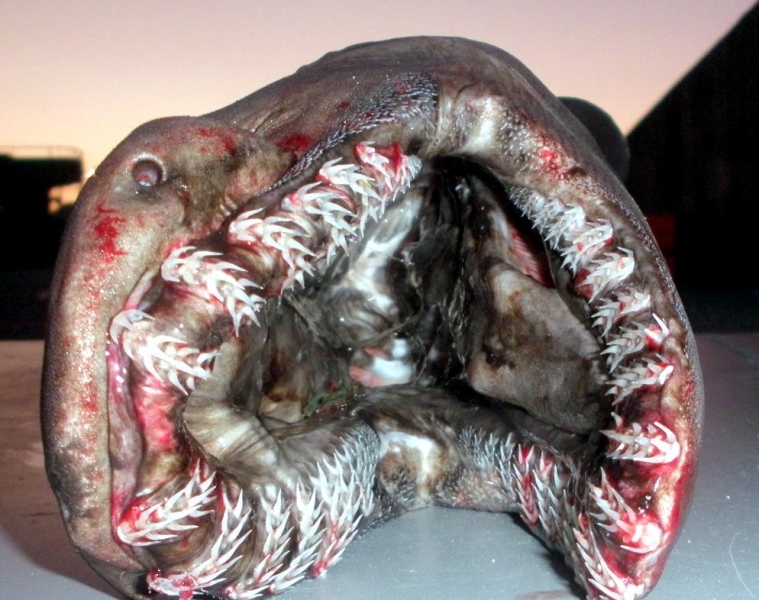 Surely you’re not aware of all these essential Frilled Shark facts such as diet, habitat, distribution, reproduction and its physical behavior. 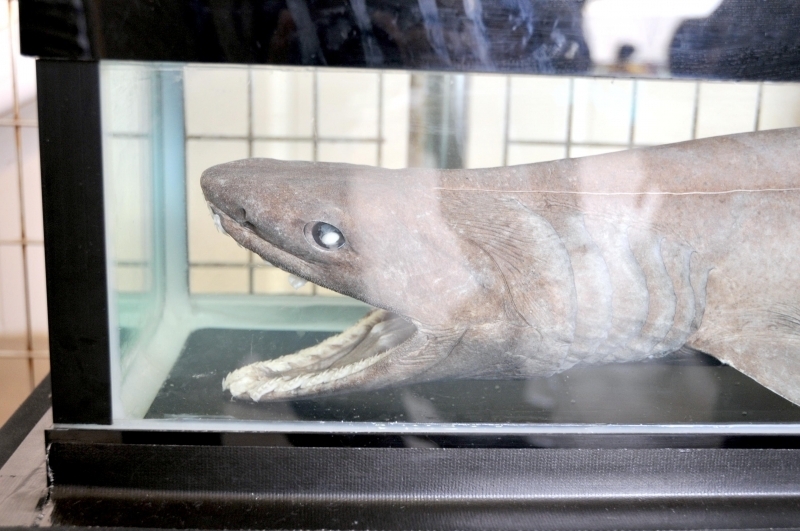 The Frilled Shark belongs to the family of Chlamydoselachidae and is one of the extant shark species that have erratic distribution across the Pacific & Atlantic oceans. 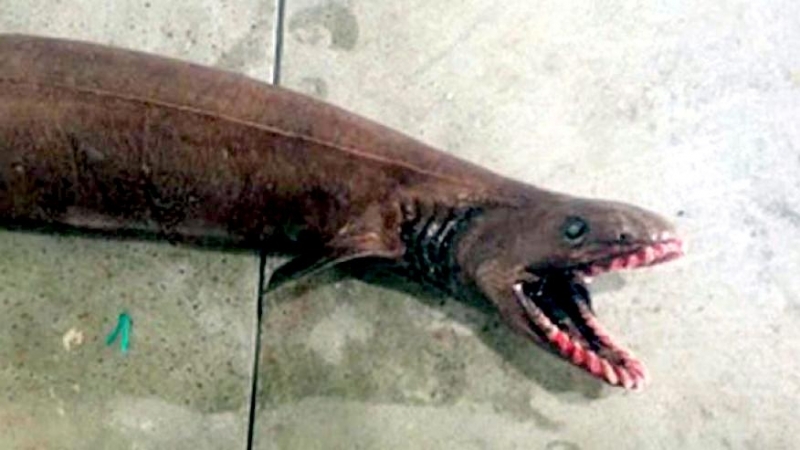 This is not as common as other sharks and is mainly found in the external & upper continental slopes. 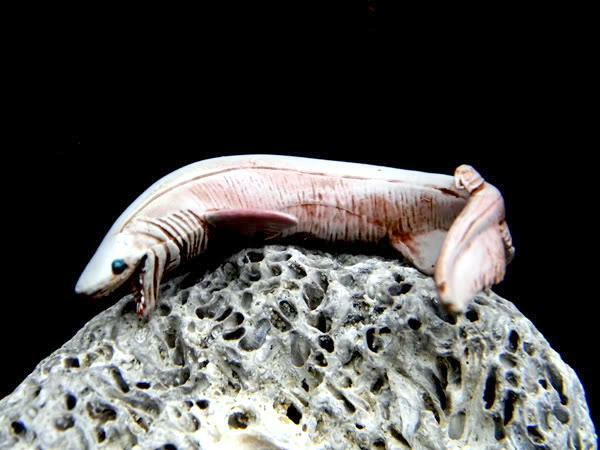 Scientists believe that these fishes often tend to move upwards but the debate still continues among scientists regarding the upward movements of these species. 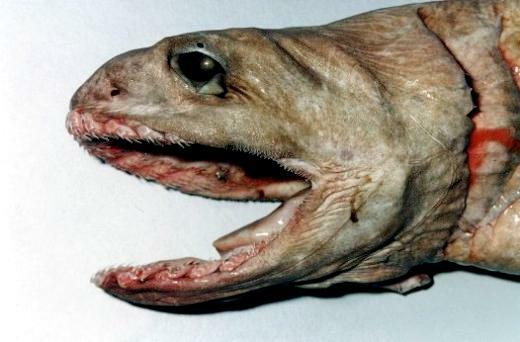 They inhabit in deep oceanic waters right at the bottom with a depth of about 1,570 meters (5,150 feet); however in places like Surunga Bay, these sharks are found at a depth of 50–200 meters (160–660 feet). 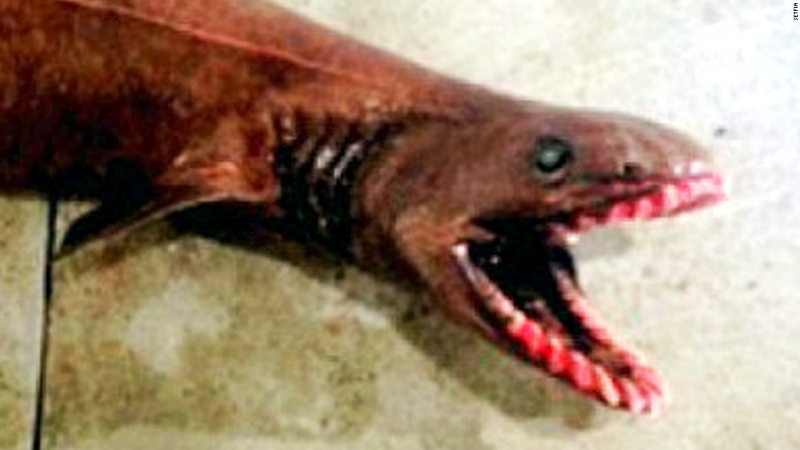 They can grow to a size of about 2 meters (6.6 feet) and display bright reddish colored body. 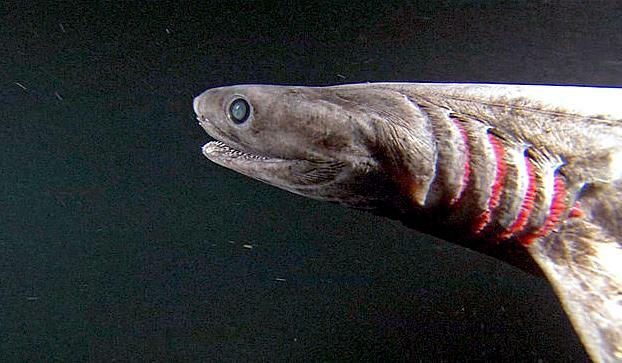 Although rarely seen, the Frilled Shark grasps its prey by leaping forward like a snake. 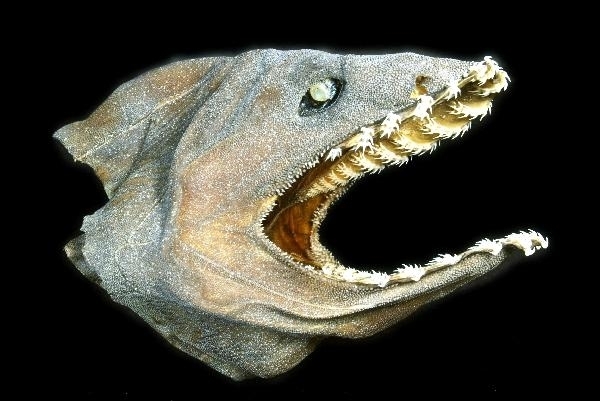 They can easily swallow their prey with their extended flexible jaws. 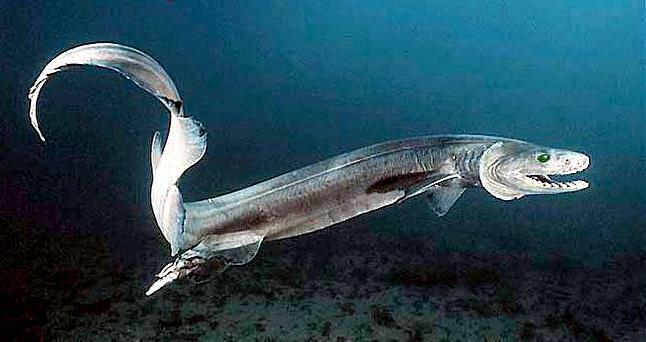 They are known to feed on small fish, bony fishes, cephalopods and other small sharks. 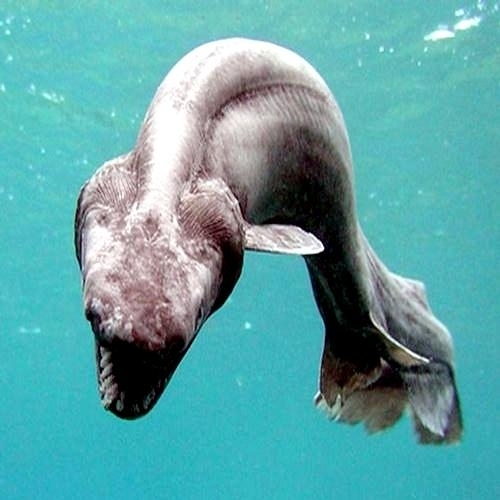 According to the International Union for Conservation of Nature (IUCN), the Frilled Shark is near threatened possibly due to the low reproductive rate. It was the German ichthyologist Ludwig Doderlein who during his visit to Japan in 1879 and 1881, fetched two specimens to Vienna. 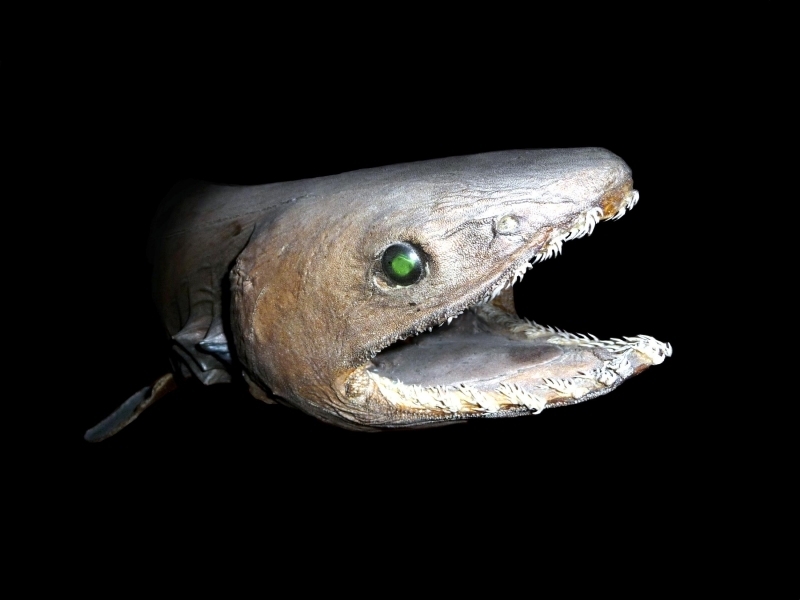 Unfortunately, the data was lost about the taxonomy of Frilled Sharks and the American zoologist Samuel Garman described for the first the length of these species to be 15 meters (4.9 feet). 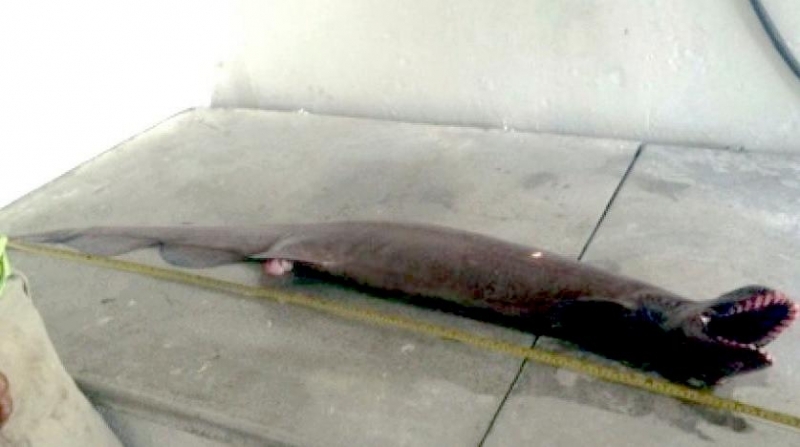 It was the length of a female found in Sagami Bay in Japan. 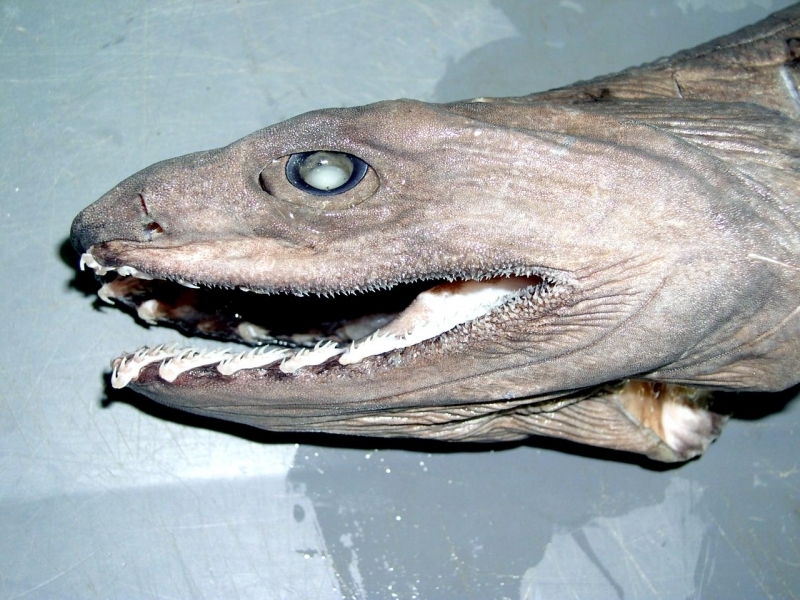 Although these species are rare, scientists have been able to discover these sharks from Pacific & Atlantic oceans. These species inhabit all along the northern Scotland, northern Norway, Morocco, France, western Ireland and Mauritania. 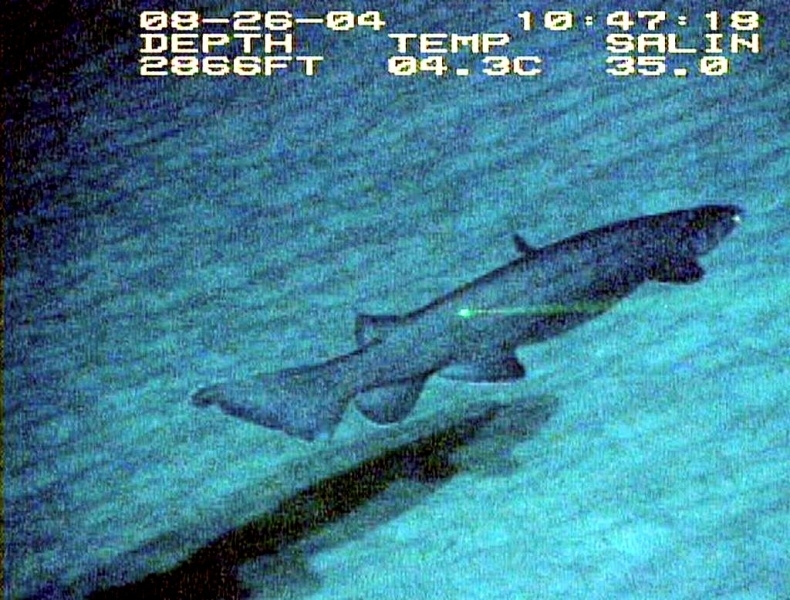 A good many number of these individuals are also found in the Rio Grande Rise off southern Brazil, Mid-Atlantic Ridge, Vavilov Ridge, Georgia, Suriname, New England and western Pacific. Most of these species are known to reside in Honshu (Japan), New South Wales, Tasmania, eastern Pacific, Hawaii, California, northern Chile, southern Africa and around New Zealand. 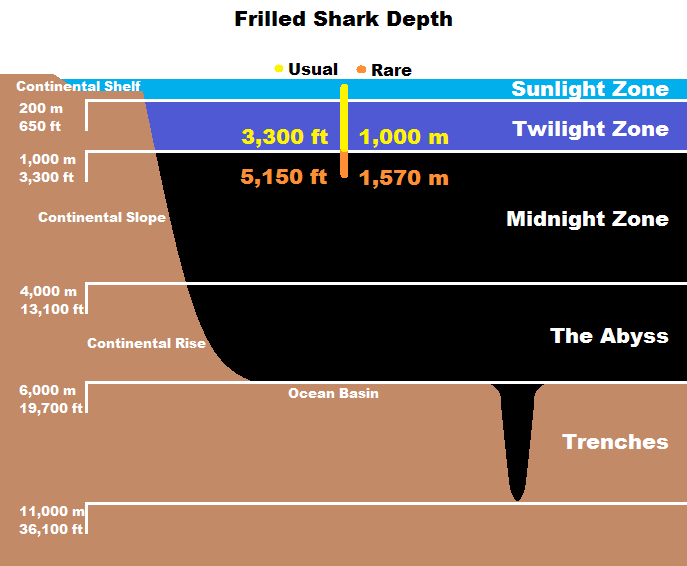 They exist all throughout the mid-continental as well as continental shelf. 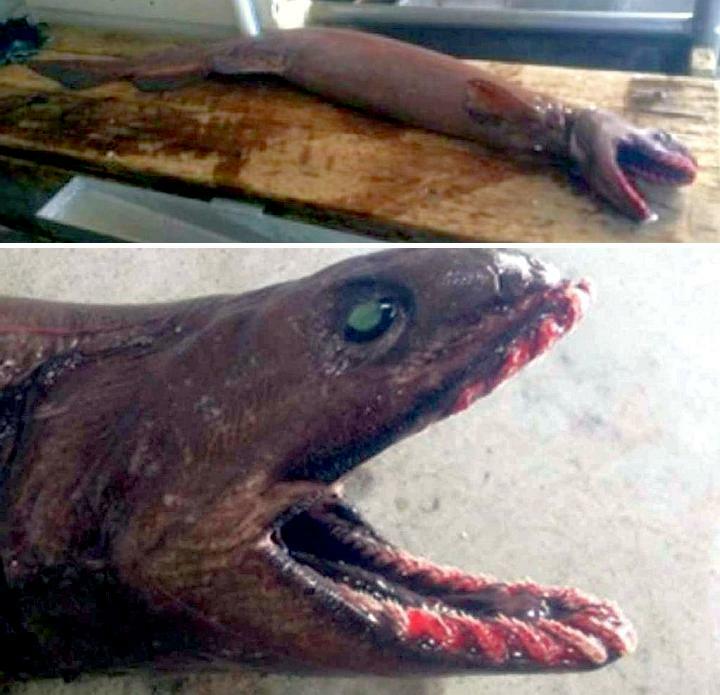 The Frilled Shark is also caught at a depth of about 1,570 meters (5,150 feet) which is unusual but the average depth is 50–200 meters (160–660 feet) and they are often found less than 1,000 meters (3,300 feet) depth. 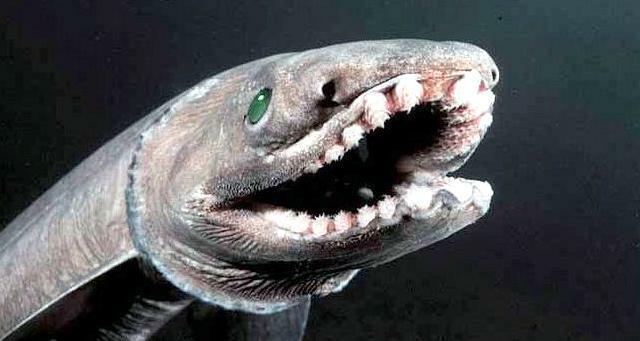 When the water temperature at 100 meters (330 feet) exceeds 15 °C, the Frilled Shark tends to move deeper. Therefore, one may suggest that these species might undergo vertical migrations. 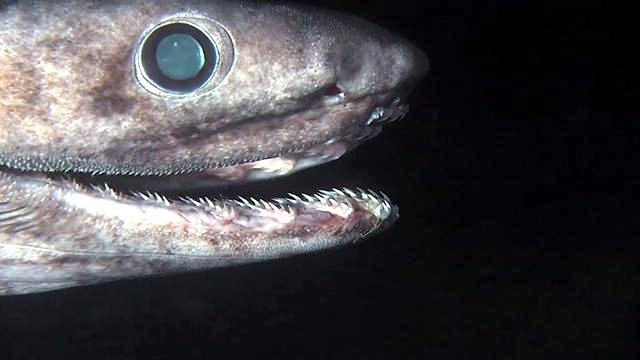 Because of its extended jaw, Frilled Sharks are capable to ingest prey size of one-half of its own. 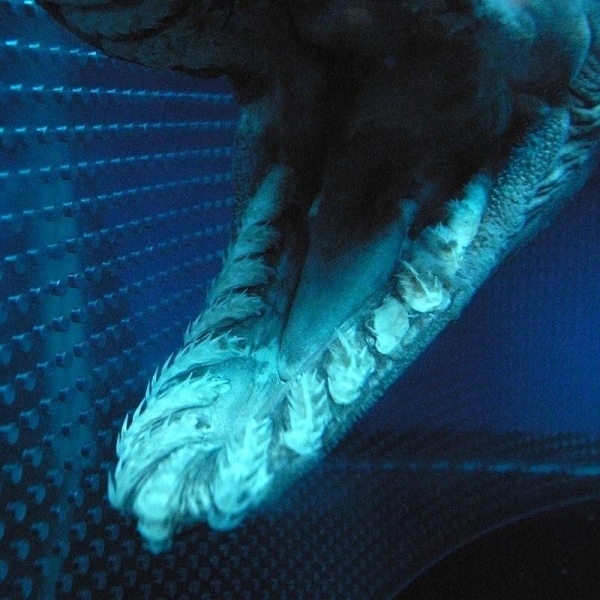 Nonetheless, these species are not adaptable for delivering strong powerful bite force probably because of its length and the expression of its jaws. 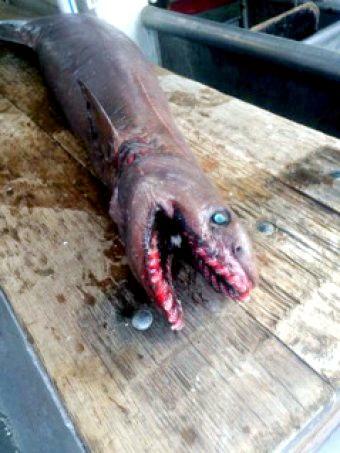 These types of fishes primarily prey on smaller sharks, bony fishes & cephalopods. 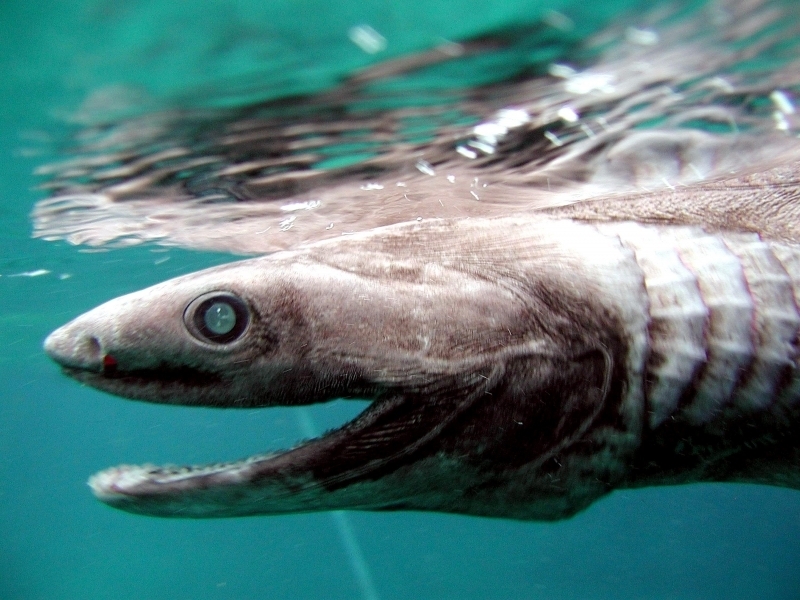 The bulk of their diet is composed of squid (60% of squid) especially for those living in Suruga Bay, Japan. 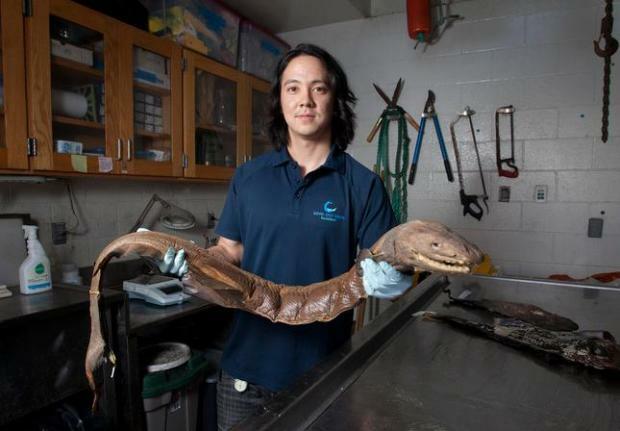 They are comparatively fast swimmers in deep oceanic waters. 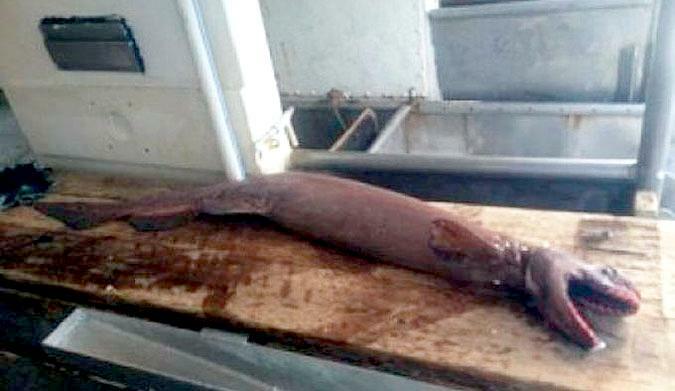 These fishes display an elongated odd appearance that looks more like an eel. 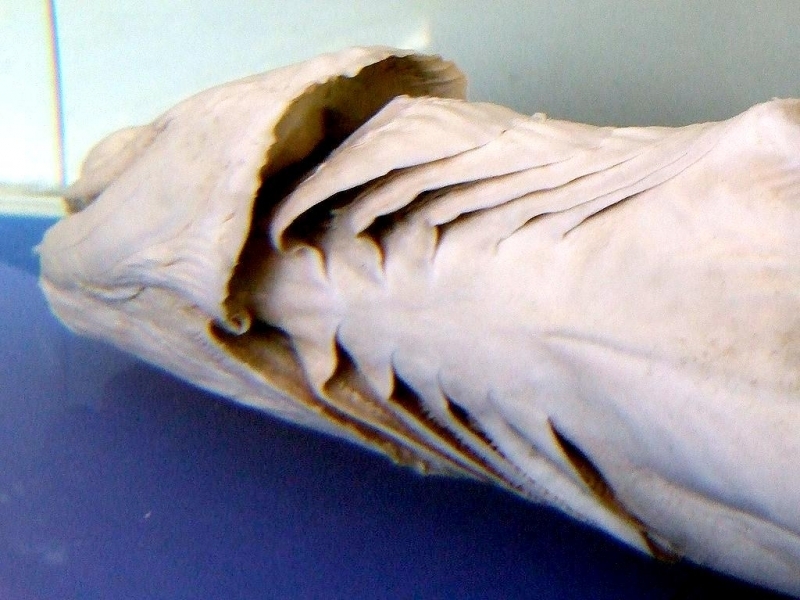 The Frilled Shark has broad muzzles & head together with a circled snout. They have disproportionately large eyes. 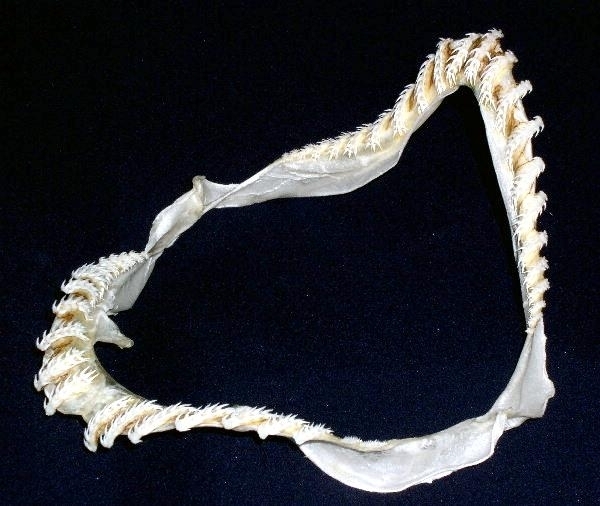 These sharks have 19–28 teeth in their upper jaw while at the lower jaw the numbers of teeth are 21–29. 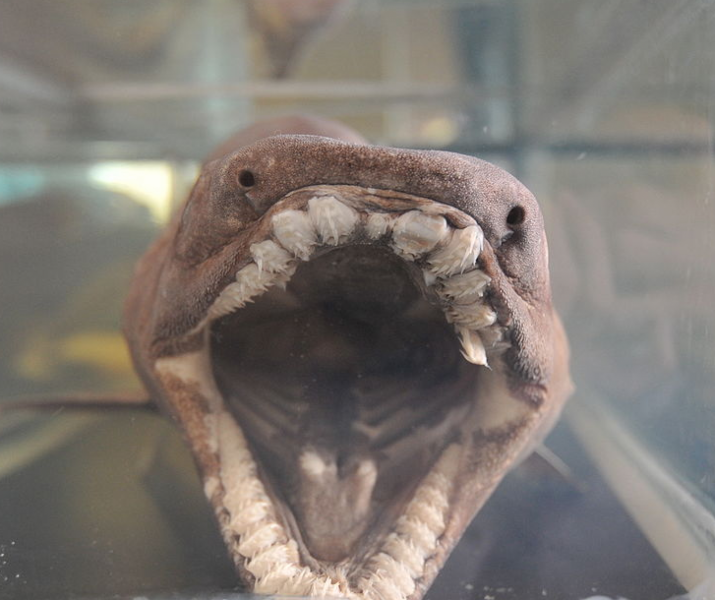 There are around 300 teeth in total. 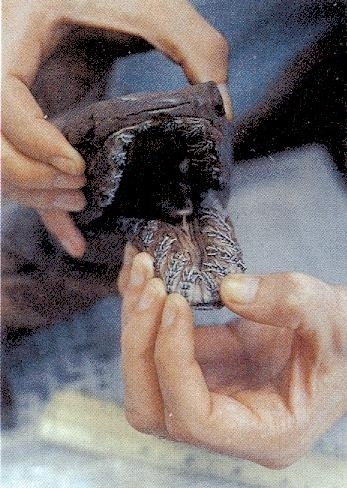 They have 6 pairs of extended gill slits. 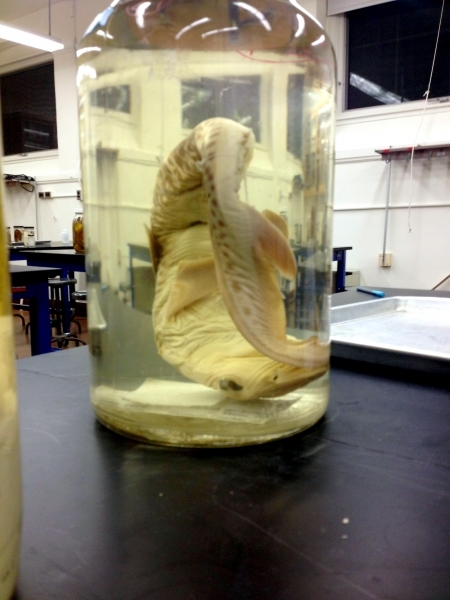 They have short & rounded pectoral fins. 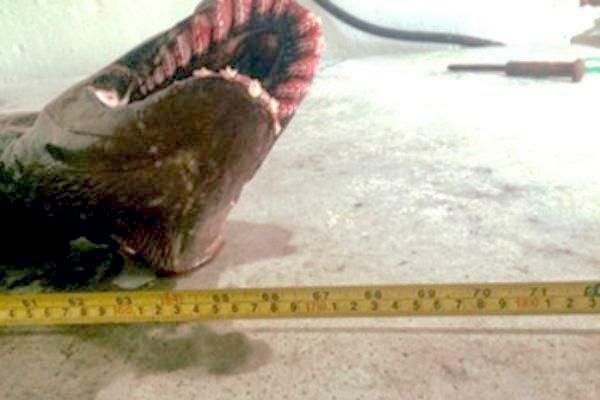 The largest male Frilled Shark ever recorded was 1.7 meters (5.6 feet) long while the female measured at 2.0 meters (6.6 feet) in length. 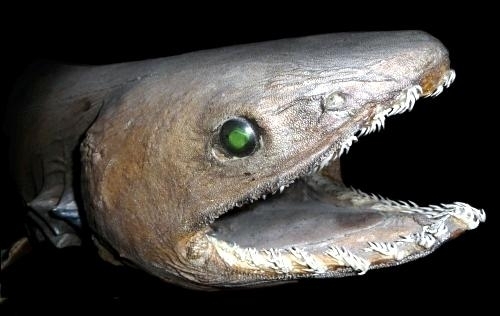 The Frilled Shark is perfectly adaptable for living in deep waters with their large-sized liver having low-density lipids, enabling them to uphold its position in the water column with modest effort. 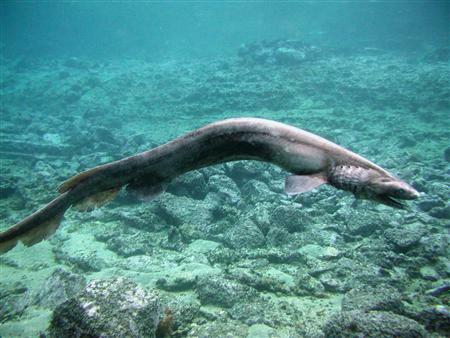 There are several Frilled Sharks that have their tails without tips possibly because of other shark attacks. 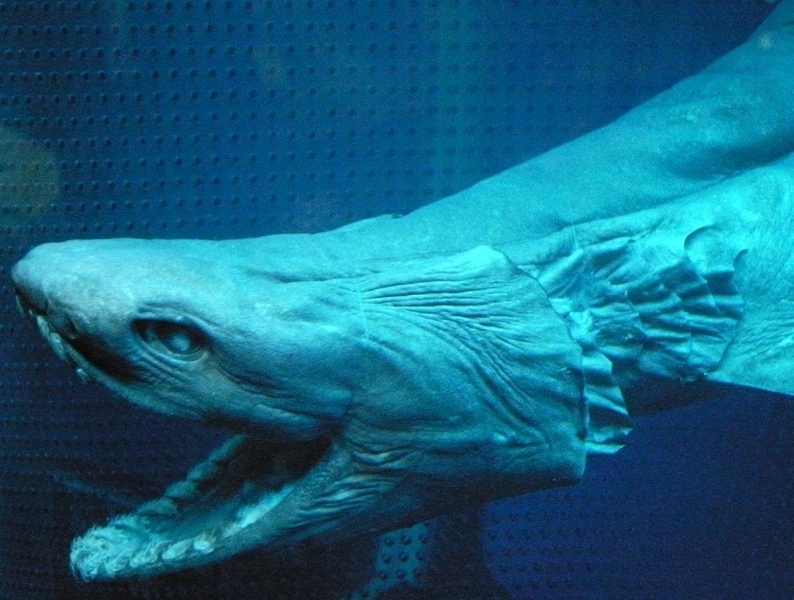 The Frilled Shark pose little or no danger to humans whatsoever. 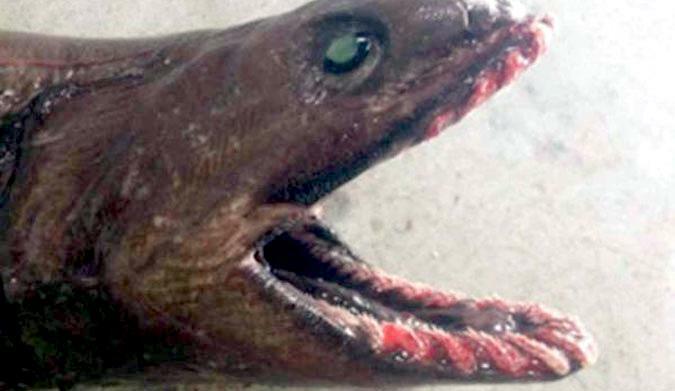 A few numbers of these species are caught by several deep-water fisheries for commercial purposes. 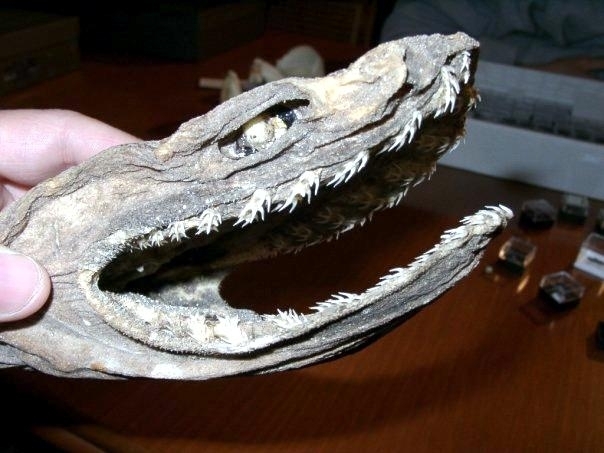 Frilled Sharks are viviparous species. There has been no definite mating season for either of the mates. The females give birth to 2–15 live pups, with an average numbers of 6 pups. The females ovulate eggs into the uterus in about 1 time in couple of weeks. The gestation period lasts for about 3 1/2 years. 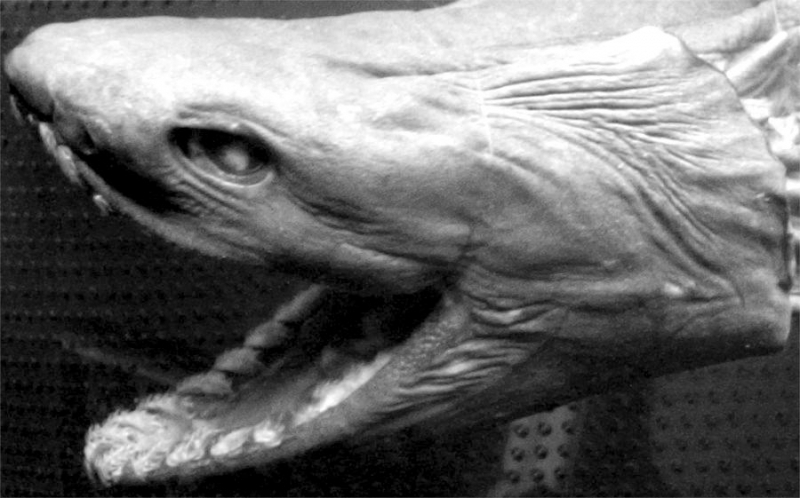 The newly-born sharks are 40–60 centimeters (16–24 inches) in length. 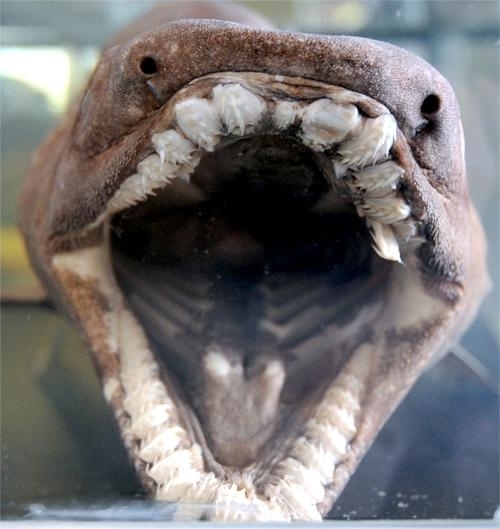 The male Frilled Shark reaches the maturity age at 1.0–1.2 meters (3.3–3.9 feet) while females reach at 1.3–1.5 meters (4.3–4.9 feet).